I would love to win the DVD giveaway! I posted on your Facebook page too about my favorite episodes! 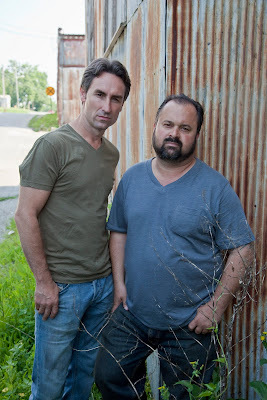 we love american pickers and mike and frank! lokking forward to the new season and their trip to Gettyesburg, close to were I live! Please enter me in the giveaway!! What a great giveaway. Would love that set. We've not hooked the tv up while building, so I missed the season. I keep hearing about how I'd love it. We have been fans of Am. Pickers since the show's premiers, being pickers of sorts ourselves for a number of years! Would love to win the DVD set to reminice over past episodes of goodies obtained! 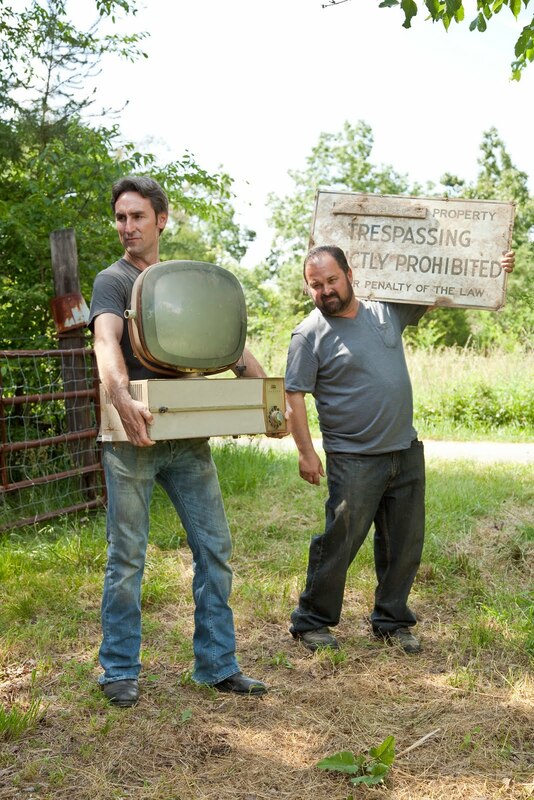 I love American Pickers. I watched the first season and found it fascinating. Welcome to AZ! I love American Pickers. I would love to view the shows again. Cannot wait to watch the new episode on Monday night! Not only is it the items you find that are amazing, the people you come to meet are a treasure also. Being a people person this is a perfect program for me ...Keep on Picking! Ha! We love this show...we often find outselves quoting it...especially "honey hole" and "I can get 100 bucks for that all day long". Love the show...love your blog!!! Tis the season to be a Picker!!!! Would love to win!!! Can't wait for the new season!!! Love those guys!! I have never heard of this show. I somehow have the feeling I'm missing out! Love the show! I'm sorry my dad passed away several years ago and never got to see it. He would've loved it too! I love the show and it's proof to my husband that there are others out there just like me. Please enter me for the DVD. I love the idea of finding treasures... anywhere they can be found, which is why shows like this are so popular!! 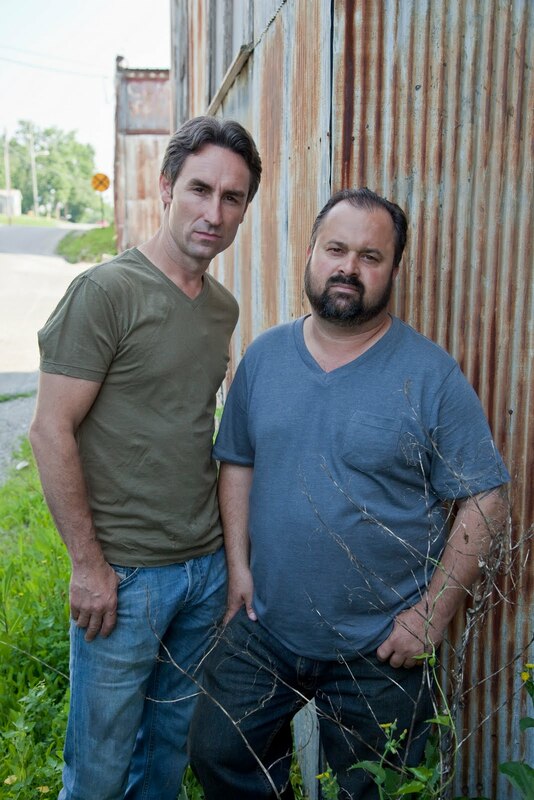 American Pickers is awesome! It's the only way I can get my hubby into "junk"! hehe.........hope to win the DVD from your giveaway! love American Pickers! They're right here in Iowa with me! Recently added you to my reader! Love love!! I'd love the chance to enter this giveaway. I've never seen them before, and now...I really want to!! Wow, what an honor to be contacted to offer this giveaway. I've never seen them before and would love to win the DVD's and have the opportunity to learn about them and watch the entire series. How cool is this Candy. My hubby and I have been to their store twice. We have Studebakers and HAD to see the one they bought. Mike and Frank were not there either time, but we saw Danielle! Can't wait to see the new shows! I love American Pickers and a giveaway associated with them is AWESOME! I appreciate their honesty and respect and fairness with people they visit and don't try to rip people off. I was taught, in the "junking" biz to be that way and people appreciate it and you make friends wherever you go. My favorite is when Mike "gets his juices flowing" and gets excited about an item(s). That old Harley episode was my favorite, when he found it and had it fixed up and at the end of the show him and Frank rode off on their bikes. LOVED THAT! There's plenty of junk/antiques in AZ! Probably a little different and more western style but I'm sure you can find plenty of stuff. Someone posted pictures of a cool looking antiquey place in Chandler, but I forgot the name of it. Do you read Cowboy Phraseology? She is another AZ blogger. Thanks for visiting my Blog and becoming my 100th Supporter... WOW! When I began this Journey back in July stepping timidly into the Land Of Blog little did I know how enriching the experience would be! Now that I have discovered your Space in Blogdom may I give you a belated welcome to Arizona and hope you have found some great pickings here?! *winks* I think we have a wealth of them in the Metro Phoenix/Glendale area. I am sure you are enjoying our Sunshine! And I'm glad to see, in a more recent Post, that you have decided upon pampering yourself more and cultivating relationships... very important to be the best we can be and appreciate those in our lives that we hold dear. I like the show Mike and Frank are leaches and don't pay on a lot of items like they should I know its your job as a picker to get the best deal you can but so many times they will have a 300 dollar item be at 50 dollars and jew them down to 25 when they were already getting a good deal and with the show now they are already millionaires from it so next time Frank pay them the 75 dollars.